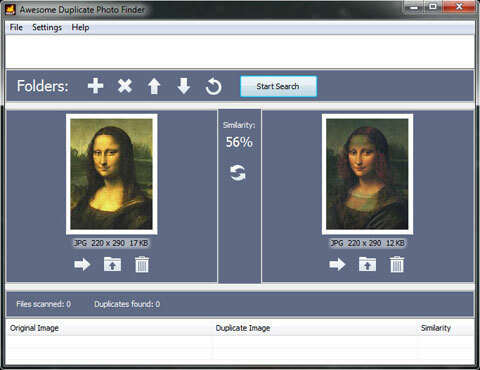 Awesome Duplicate Photo Finder is a completely FREE Software. It contains absolutely NO ADWARE, NO SPYWARE, NO REGISTRATION, NO POPUPS, NO MALWARE or other unwanted software. New version 1.1 is available! What's new? This program is very easy to use. 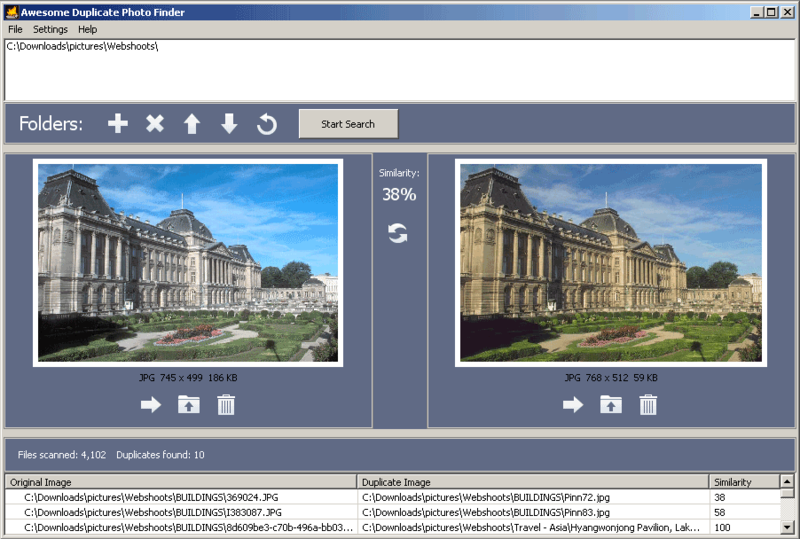 You can do all you need with duplicate photos in just a couple of mouse clicks. Awesome Duplicate Photo Finder is able to compare resized pictures or even pictures with corrected colors (black and white photos etc.). It supports all major image types: JPG, BMP, GIF, PNG. To start playing just drag some folders from the Windows Explorer into the program's window and click "Start" button, and have fun!